Obituary for Evangeline "Evie" (Reynolds) Taylor | St. Stephens Funeral Home, LLC. Evangeline "Evie" Reynolds Taylor, 86, passed away Tuesday, November 13, 2018 at Springhill Medical Center. She was a graduate of Washington County High School. In 1950 she married her husband, Samuel Taylor. Ms. Evie was a lifelong member of Reynolds Holiness Church and was the oldest living lady in the Reynolds Community. When she was a teenager she helped her brother Dewey deliver newspapers and also worked in Reynolds Grocery. In 1959 Ms. Evie started working in the medical profession and retired from there at age 80. Ms. Evie loved the Lord and attended church whenever she could. 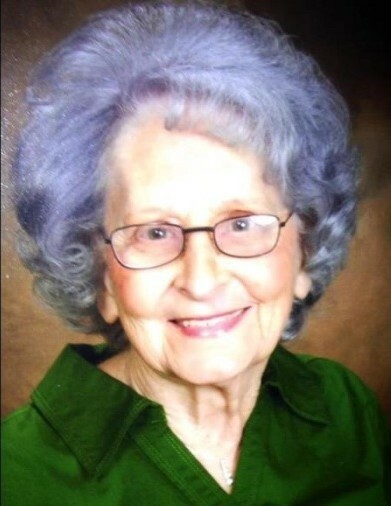 She loved gospel music and Alabama Football. Ms. Evie loved her family, family gatherings and she always put her family first. Visitation will be Friday, November 16, 2018, 11:00 AM ~ 12:00 Noon at Reynolds Holiness Church, Chatom, AL. Funeral Service will follow at 12:00 Noon. Bro. Greg Morris, Bro. Jimmy Roberts, & Jason Frase will be officating with St. Stephens Funeral Home directing. Interment will be at Reynolds Holiness Church Cemetery.